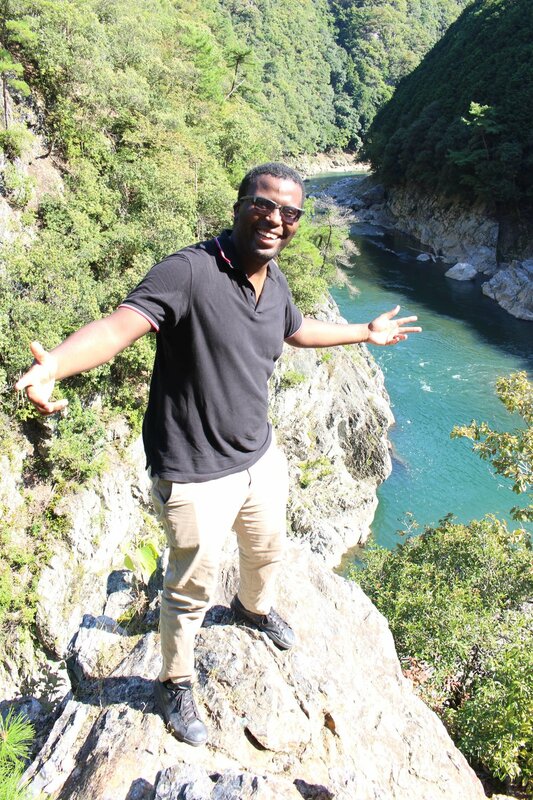 In this article, learn about Lincoln and his family’s unique connection to Kyoto University, the JICA program, his internship opportunity, and his process of transitioning from one scholarship program (JICA) to another one (MEXT). In fact, he is actually following his father’s footsteps. Not only did his father study in Japan, but he also studied specifically at Kyoto University. And in the 90’s, Lincoln’s father completed his Master’s Degree in Civil and Earth Resources Engineering, in the Geotechnical and Geomechanical Engineering lab. Wow, right? But it became even more impressive, when I learned that his younger sister is now studying in the exact same lab as his father did, around 20 years ago. Talk about a unique legacy. After all, how many people can say that their parent studied in the same exact university, in a country far away from home? My mother studied at Kyoto Seika University for 2 years, so she has very fond memories of living in Kyoto, but she didn't attend the exact same university, or let alone, study in the same lab as me. All of this is to say that the Waweru family has a unique connection with Kyoto, and particularly, Kyoto University. Through the Master’s Degree and Internship Program of African Business Education Initiative for Youth (ABE Initiative) managed by JICA, Lincoln was accepted into the very first batch of the brand new program at that time, along with around 50 other students from Kenya, and many more from other African countries. He arrived in Japan in 2014 and immediately, began studying and conducting experiments to help prepare himself for the Master’s Degree. After the first 6 months as a Research Scholar, Lincoln was accepted into the Masters Degree Program for Environmental Management in the Environmental Infrastructure Engineering lab. His first year was focused almost entirely on acclimating to life in Japan, and course work to help supplement his research endeavors. As a result, he was incredibly busy during his first year. And during his second year, Lincoln was busy almost entirely with his research and unique internship opportunity. For 3 months, Lincoln also participated in a unique internship opportunity at Nippon Koei Co., Ltd. in Tsukuba, Japan. Not only did he conduct water quality investigations, but he also researched about the geotechnical characterization of construction materials. Plus, he was fortunate enough to participate in several seminars, where he received further training on environmental sustainability in infrastructure development. The most valuable lesson he learned during his internship was to step outside of his comfort zone more often, and never be afraid to expand one’s horizons. Through his hard work and dedication, Lincoln’s contributions to projects made an “observable and tangible” impact. After completing his internship, it was time for Lincoln to begin focusing on actualizing his goal of entering the PhD program. Since the JICA program was limited to a Master’s Degree, Lincoln knew that he would have to switch to the MEXT Scholarship Program - the Japanese Government Monbukagakusho Scholarship. The most challenging part for this process was crafting a compelling and comprehensive research plan. Plus, Lincoln needed excellent grades, which fortunately, wasn’t an issue for him. Regardless, the entire application process wasn’t easy, as there was stiff competition and quite a hefty number of documents that needed to be submitted with precise information. On the bright side, he basically didn’t have to do a formal interview, as he had established a positive relationship with his professor, who actively supported his endeavors, provided valuable feedback, and encouraged him in many ways. Words of Wisdom: Establish a positive, mutually beneficial relationship, founded on trust and respect, with your professor from Day 1. Thus, he was able to earn his acceptance into the MEXT PhD program through Kyoto University’s sponsorship, and entered the Doctoral Program in Global Environmental Studies in April, 2017. Thank you very much for reading this article about Lincoln Waweru. 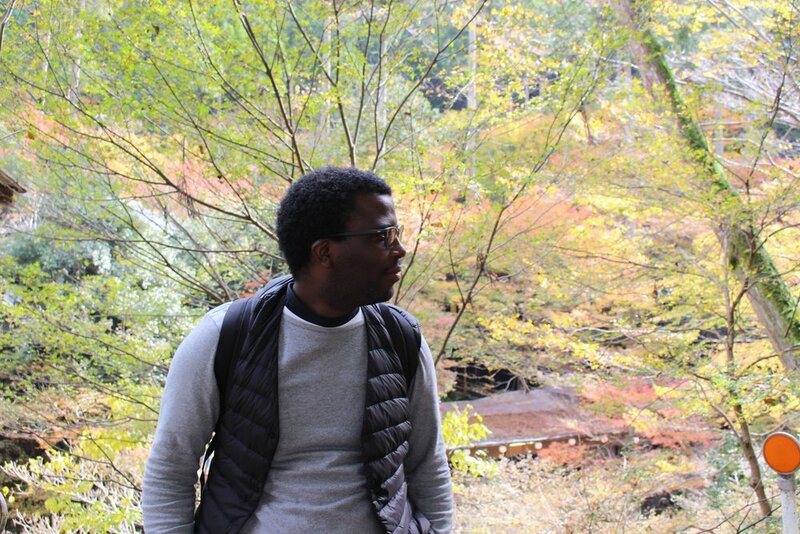 In the next article, learn more about his initial challenges, the African community in Japan, and the major benefits of living in Japan. In case you missed the article about Lincoln’s initial challenges, the African community in Japan, and the major benefits of living in Japan, please read the second article. Finally, enjoy the final article featuring Lincoln’s newfound passion for cycling, his captivating life philosophy, his advice for those who want to study in Japan, and his favorite thing about living in Japan.